Oporto is the second largest city in Portugal after Lisbon. 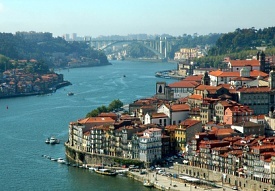 Also called Porto for short, the word easily brings to mind the city’s most famous product -- port wine. You can sample one of hundreds of varieties of the famous port wine at Solar do Vinho do Porto or at the wine lodges at Vila Nova de Gaia.